Too much floor deflection can be troublesome. Synopsis: Bouncy floors are one of the most vexing problems faced in houses, both new and old. Contributing editor Mike Guertin teams up with structural engineer David Grandpré to detail six common, and not-so-common, ways to stiffen up the joists and keep the china cabinet from wobbling. If you haven’t fallen into the basement of your house already, don’t worry; your bouncy floor is probably not an indication of a disaster waiting to happen. Floor deflection is common in older homes because the floor joists often are smaller or are spaced farther apart than the joists in modern homes. Of course, new homes also can have bouncy floors if the joists are approaching the maximum spanning distance for the weight they are supporting. Long-span joists may meet design criteria and the building code, yet still feel uncomfortable. A well-designed wood floor feels stiff as you walk on it but still gives slightly under foot, absorbing some of the impact of your steps. Too much bounce, though, can make the china cabinet wobble. 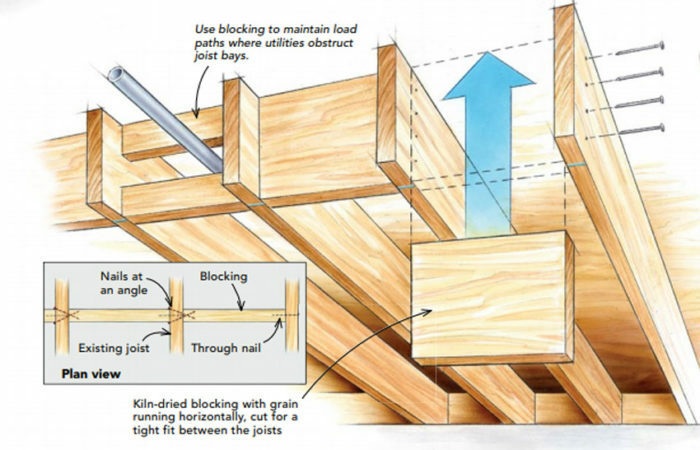 You can shore up floor joists and reduce the bounce in a number of ways, but the six methods outlined here represent a mix of common and not-so-common solutions. The best choice depends on access to the joists, obstructions in the floor system, or current remodeling plans; one technique or a combination may be your most practical solution. It’s important to make these improvements carefully. If existing joists have been weakened due to rot or insect damage, glue and fasteners won’t hold well, and your work may be ineffective. 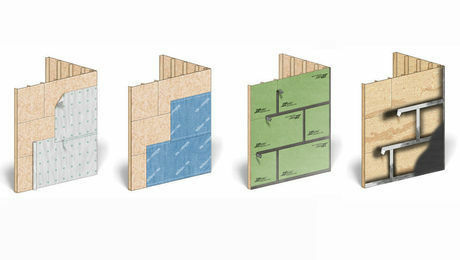 Loose blocking or an underfastened subfloor won’t bring any benefit, so take extra time and care during installation. Also, you can use jacks to relieve the load on joists while the work is being done. Jacks improve the effectiveness of your floor-stiffening work. This solution works best in crawlspaces where you aren’t too concerned about limiting headroom or cluttering the space with columns. If you don’t mind the obstructions or loss of headroom, though, beams and columns certainly can be added in basements, too. The important thing to remember when adding a support beam is also to add proper footings to support each column. In most instances, a 2-ft.-square, 1-ft.-deep footing provides adequate support. However, when you’re installing LVL or steel beams with wider column spacing, larger footings may be necessary to support the load. The beam size depends on the load and span of the beam between columns. Also, keep in mind that the closer you space the footings and columns, the more rigid the new beam will be and the stiffer the floor will feel. To make a new footing, cut the slab, dig out the earth beneath, and pour concrete flush with the top of the slab. Next, snap a chalkline across the underside of the joists in the middle of the span to help align the new beam. Use post shore jacks, screw jacks, or hydraulic jacks to lift the new beam into position beneath the joists. Finally, cut and install new columns to fit between the beam and the new footing. 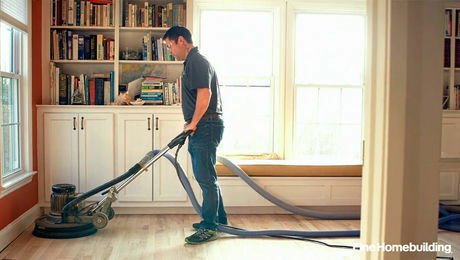 For more photos and information on fixing your bouncy floor, click the View PDF button below. Sign up for eletters today and get the latest how-to from Fine Homebuilding, plus special offers. 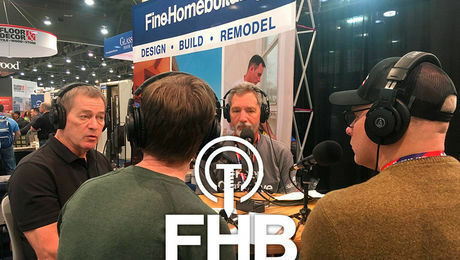 Get instant access to all FineHomebuilding.com content. Save up to 52% off your annual subscription. If I may interject here to add a bit of insight to the blocking comment. There is a considerable difference between standard blocking and the installation of an IBS2000 Load Share Connector System. (as shown in the thumbnail pic) . Engineered technical differences in deflection and vibration are documented and substantial when IBS2000 connectors are used along with adequate strapping below and glued and screwed sheathing above. Kenkeknem Smart Build can provide these numbers for comparison with any floor you may have in place. This water-impermeable layer beneath the siding protects walls from rain and snow, and often functions as a building's air barrier. 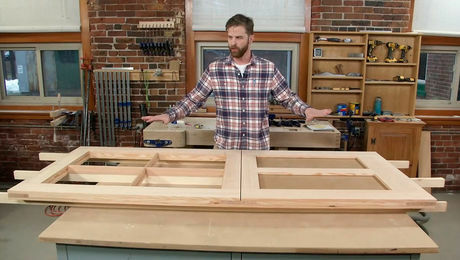 The trick to making this traditional door easy to build is to use a layered-assembly technique, and to hang the door before cutting it in half. This compact, panelized home takes its design inspiration from the vast Western landscape and local building traditions. This builder-friendly spec house fills out a narrow lot in a contemporary community. Timeless styling with a modern twist makes this new home stand out in a post-war New England neighborhood. Become a member today and get instant access to all FineHomebuilding.com content! 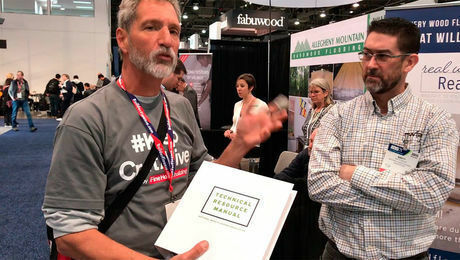 A twice monthly look at new tools, tool techniques, and building technology. "I have learned so much thanks to the searchable articles on the FHB website. I can confidently say that I expect to be a life-long subscriber." - M.K. What is a New Urbanism Development? Why Use a Spray-Applied Water-Resistive Barrier? Build smarter. Join the Fine Homebuilding community. Become a member and get instant access to thousands of videos, how-tos, tool reviews, and design features.